On April 11, the Connecticut House of Representatives passed (86-62) a bill to abolish the death penalty for future crimes. The same bill passed the Connecticut Senate on April 5. Governor Dannel Malloy has pledged to sign the bill, which will make Connecticut the 17th state to abolish the death penalty, and the 5th to do so in the last 5 years. In a statement released after the House vote, Gov. Malloy said, "When I sign this bill, Connecticut will join 16 other states and almost every other industrialized nation in moving toward what I believe is better public policy." During the lengthy debate on the bill, legislators discussed issues of cost, deterrence, and innocence, as well as their moral convictions on the issue. Rep. Auden Grogins (D-Bridgeport) said, "The law is costly, can be arbitrarily applied and does not produce accurate results. It is not unusual for the legal process, from the beginning to the end, to take 20 years." Rep. Terry Backer (D-Stratford) voiced concerns about wrongful convictions, saying, "We have an imperfect system and there are many mistakes we make as government. Unfortunately, when we are wrong in these cases, there is no way to put them back on track." Connecticut currently has 11 people on death row. Because the bill is prospective, it will not affect those sentences. Only one execution has been carried out since Connecticut reinstated the death penalty in 1973. Michael Ross dropped his appeals and was executed in 2005. The other states to recently abolish the death penalty are New Jersey, New York, New Mexico and Illinois. Michigan was the first state to abolish the death penalty in 1847. (K. Dixon, "State House votes to repeal death penalty," Connecticut Post, April 12, 2012; "GOVERNOR MALLOY STATEMENT ON FINAL PASSAGE OF CAPITAL PUNISHMENT REPEAL LEGISLATION," Press Release, April 12, 2012.) 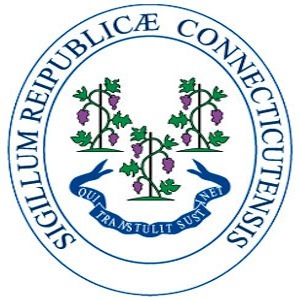 See Recent Legislative Activity and Connecticut. For facts and quotes from leaders in Connecticut, see Death Penalty at a Glance.